Let’s talk about chameleon poop. It’s part of having a pet chameleon, so you better know the basics about it. Fortunately a chameleon does not poop much. It is also very different poop as the turds you usually see from your average pet dog or cat. 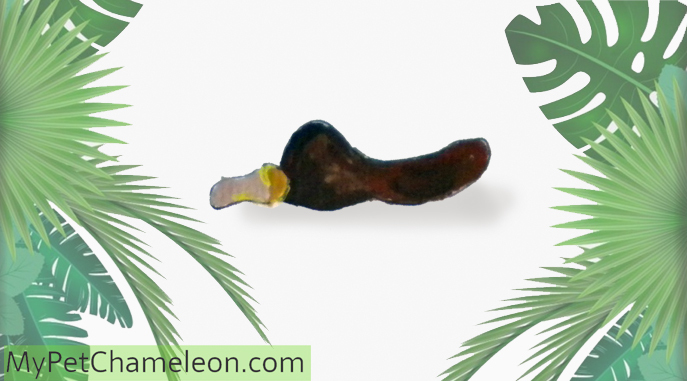 Chameleon poop is much drier and consists of a white part and a dark part. The white part is actually chameleon pee (urine). 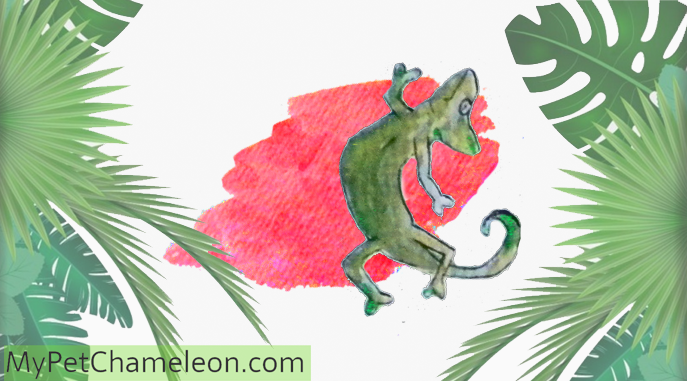 Chameleons do not pee like mammals do, but excrete the stuff that we excrete in pee as the solid white part of its poo. The solid white part consists mostly of urea and the solid dark part consists of mostly undigested fiber. Chameleon poop is pretty dry and will dry even more in a hot terrarium. You won’t be dealing with too much smell or too much poop in general. You can see from the poop of your chameleon if it is healthy or not. It is possible that your chameleon will have internal parasites, for example intestinal worms or one-celled parasites called flagellates. 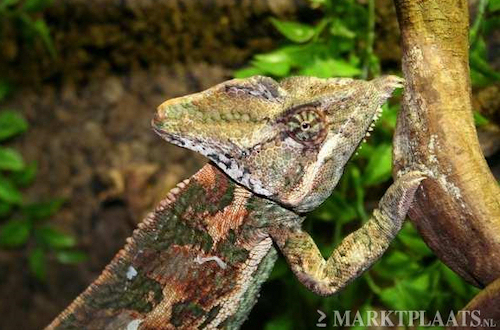 Your chameleon will contract these parasites from other chameleons or other reptiles. The parasites live inside its gut and consume some of the nutrients your chameleon receives. 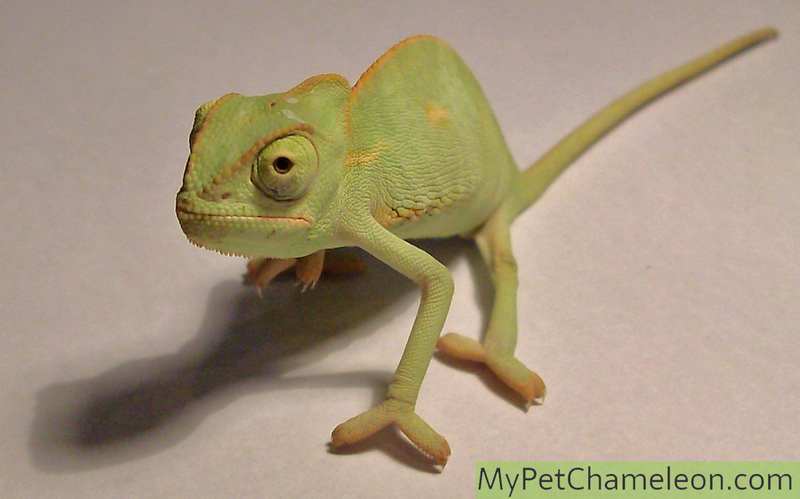 What is important for the health of your chameleon, is doing a check for parasites or parasite eggs in its poop. Your vet can do this for you. If you are keeping just one chameleon and no other pets, you only have to do this when you buy your chameleon. If you keep more animals you should have them checked for parasites every year. 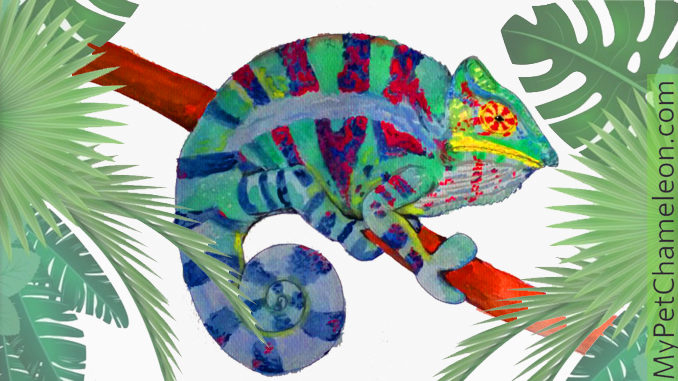 It is very easy to have your chameleons poop checked for parasites like worms and flagellates. Just collect a bit of fresh poop in a plastic bag and send it to a vet or laboratory. The vet should be specialized in reptiles. 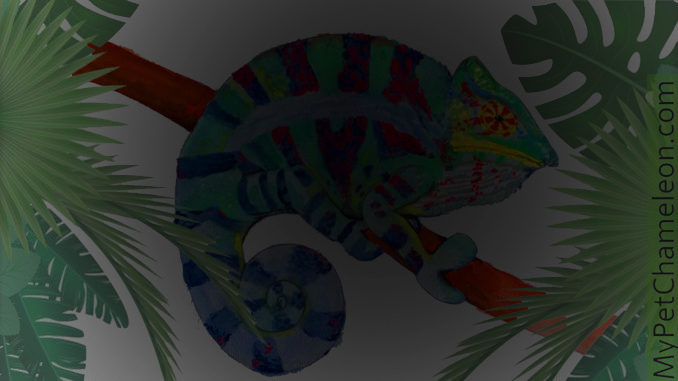 It is very easy to do and your chameleon does not need to go anywhere, making it stress-free for it. It is pretty cheap to have your chameleon checked for these internal parasites. Ask your vet before for its rates and possibly shop around until you find an expert that has good rates. 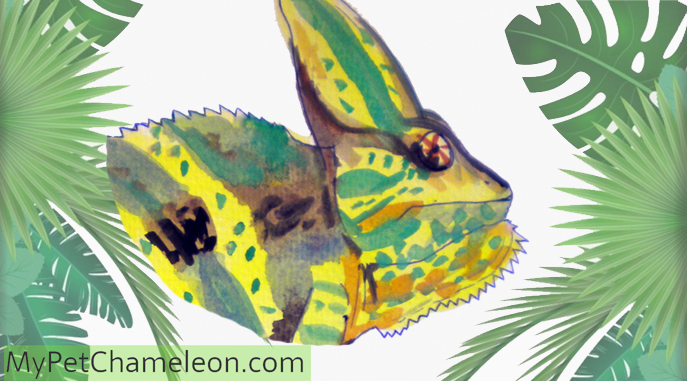 The vet will inform you of the results or your chameleons stool sample by telephone or email. Be sure to ask what kind of parasites where found, if any. If it turns out there are some parasites present, ask your vet which medicine should be used to fight them. Why would I check for parasites? You might wonder why you should have your chameleon checked for internal parasites. The most important reason is that parasites will weaken your chameleon. It will grow less fast, will show less striking colors, is less active and could die more easily as a completely parasite-free chameleon. Other illnesses or diseases will have more impact on your chameleon, as it is already weakened by the parasites. It saves you a lot of problems, money and suffering for your chameleon to have it checked out. You will be sure it is free of parasites once it has been tested. When you keep more reptile species or more chameleons, it is even more important to check them. New animals could bring parasites to the rest of your animals. If you keep the new animals separated from the rest until they get a clean bill of health, you can introduce them to the rest without much trouble. Keep the new reptiles in quarantine for 10 to 18 weeks, or until a vet has checked them. How often should I check for parasites? If you keep just one reptile as a pet and prevent it from being in contact with other (wild) reptiles or wild animals, you only need to have your chameleon checked once. As the parasites are only transferred from one animal to the other, a parasite-free chameleon will stay that way. When you keep more reptiles but all of them have been tested and found clean, you don’t need to test anymore either. When you have different reptiles, when you take them to reptile fairs, pet shops, pet sitters or other places where they might get into contact with other reptiles, you should test your pets once a year. If you see that one or more of your pets is not looking healthy, losing weight or is less active than it should, you should have it tested again for parasites just to be sure. Which parasites do chameleons have? To read more about the kinds of parasites, check out our page Parasites.